Every Sunday night I retreat to my bathroom for an hour. I gather a few key products, lock the door, turn on soothing music and escape. It is my own Sunday, DIY Spa Night. I can't afford weekly spa treatments, so I have learned that by shopping smart for products that work, I can recreate that spa experience at home, by myself. From deep conditioners to foot scrubs, I do it all. My favorite treatments have got to be my mini facials. I always starts with a steam and I love a facial sauna. It really starts my spa night off right and opens up my pores for the rest of my routine. I then use Kate Somerville ExfoliKate Intensive Exfoliating Treatment. A mini-facial alone, I use this to remove dead, dull skin. Next, I use a mask on my face. I have a few that I depend on and select it depending on my skins needs that week. The rest of my routine includes a long relaxing soak in the tub. When soaking, I apply a deep conditioner on my hair, a body scrub, and I never forget my feet. My new favorite beauty tool is the Clarisonic Pedi Sonic. My feet haven't been in as good of shape since I started using. My DIY spa night is one of my favorite times of the week. 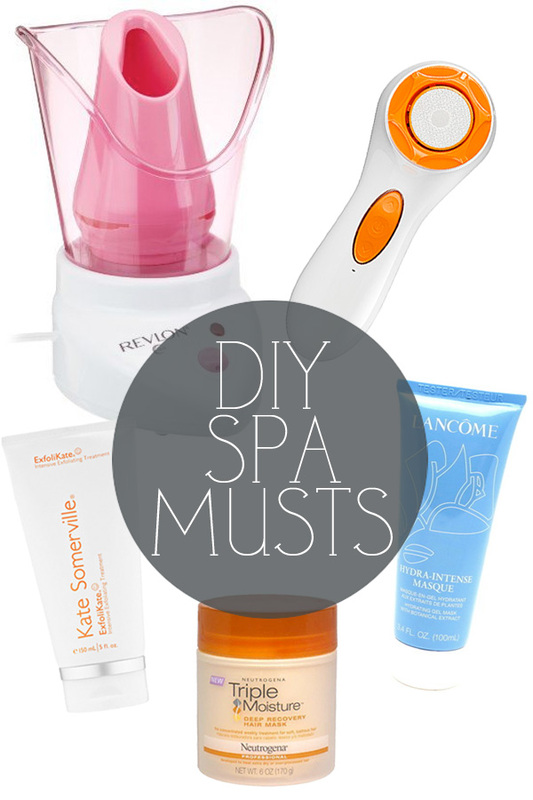 I found super deals for some of my favorite spa products right on eBay and even created a DIY Spa Collection that features some of my faves. It also features a few little luxuries that I can only dream about! Disclosure: My eBay collections were curated as part of my collaboration with eBay and Style Coalition.